Karl Squier had been a consultant to education and business for more than 35 years working in the field of professional school counseling for 15 years. Karl consulted with local school districts, state school counselor associations, state departments of education, and national school counseling organizations and initiatives. Dr. Squier developed systemic reform initiatives for school districts and has created a toolkits approach to implementing school counseling programs for all students. He advocated for the school counseling curriculum as a primary vehicle for helping students achieve excellence. 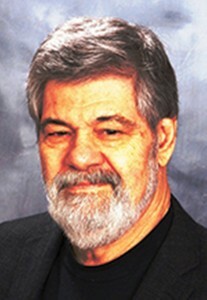 Karl was a children’s book author and creator of integrated learning systems for all levels along the K–12 learning continuum. Patricia Nailor is a former school counselor and supervisor of school counselors. Now retired, Dr. Nailor is an adjunct instructor at Providence College, Providence, Rhode Island, in the Graduate Program in Counselor Education. Additionally, she consults with school districts in the development and implementation of school counseling programs. Dr. Nailor has served as president and professional development chair of the Rhode Island School Counselor Association (RISCA). 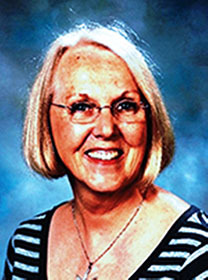 She served on the American School Counselor Association’s (ASCA) Governing Board as the vice president of the North Atlantic Region and as ASCA’s president in 2009–2010. 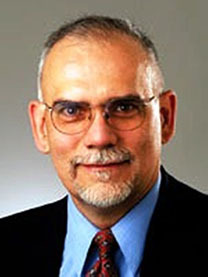 John C. Carey is a Professor of School Counseling and the Director of the Ronald H. Fredrickson Center for School Counseling Outcome Research & Evaluation (CSCORE) at the University of Massachusetts, Amherst. Dr. Carey is a national leader in the evidence-based school counseling movement and has coauthored the influential book Evidence-Based School Counseling: Making a Difference With Data-Driven Practices published by Corwin (2007). Dr. Carey is currently involved in the development and evaluation of research-based interventions in schools. He served as the co-principal investigator of an Institute of Education Sciences–funded efficacy study of Student Success Skills. He is also collaborating in the development and evaluation of Eccomi Pronto, a social-emotional curriculum designed to facilitate the development of self-direction skills in young students in Italian primary schools. Dr. Carey has coauthored numerous research articles including recent statewide evaluations of the effectiveness of school counseling programs in Utah and Nebraska, and a national study of the level of implementation of state school counseling models. He is a frequent conference presenter at the major school counseling conferences. Dr. Carey is very active in the globalization of school counseling. He is the lead editor of the International Handbook for Policy Research on School-Based Counseling that will be published by Springer in late 2016. He assisted the University of Verona to design and implement the first master’s program in school counseling in Italy. In addition, he was recently named to the Fulbright Specialist Roster and, through this vehicle, he recently helped the counseling program at Korea University improve its school counselor education program by incorporating evidence-based practice. He is preparing to initiate a similar collaboration with the counseling program at Christ University in Bangalore, India.